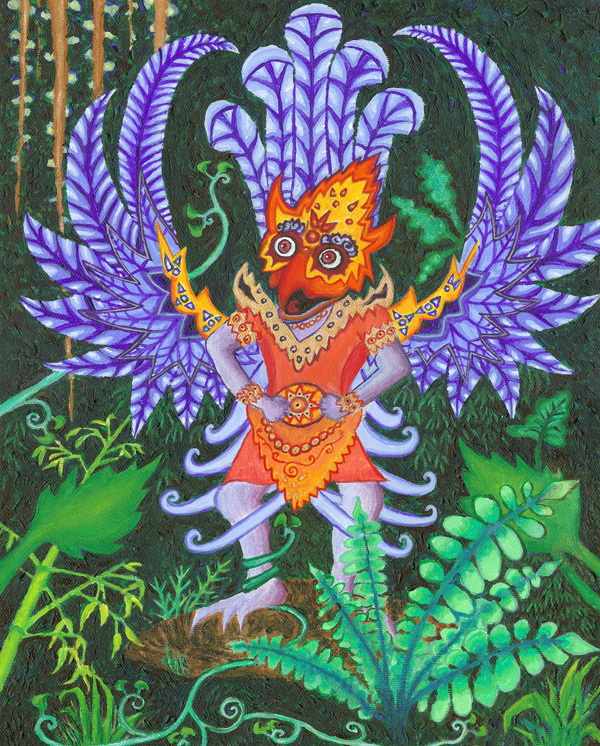 I’ve always been interested in Garuda, from the first time I saw his image on a postage stamp from Nepal around 1971. On a visit to Bali in 2006, I was inspired by Balinese painting. This is one of two paintings I made in a creative frenzy immediately upon my return.